Fill-in this short form for your chance to win a prize! This question is optional. Replies allow T&T Safes to offer special deals to these groups in the future in thanks for their service. 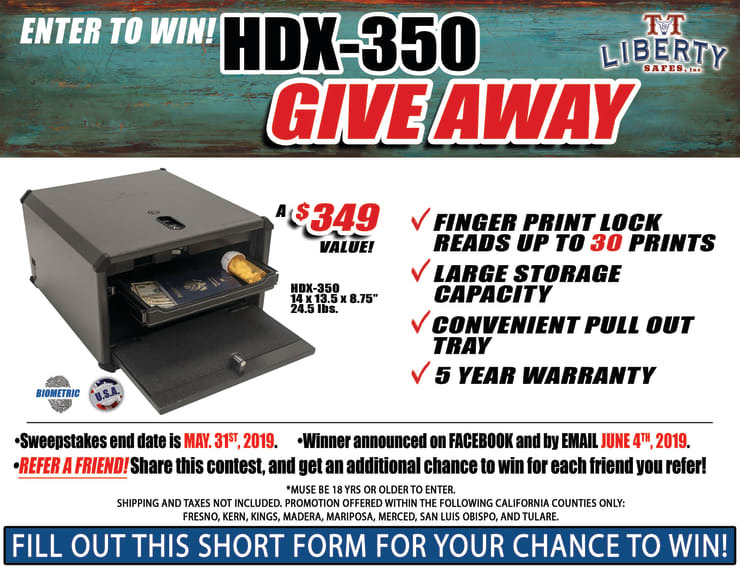 Would you like to receive emails for future promotions and give-aways from T&T Liberty Safes?